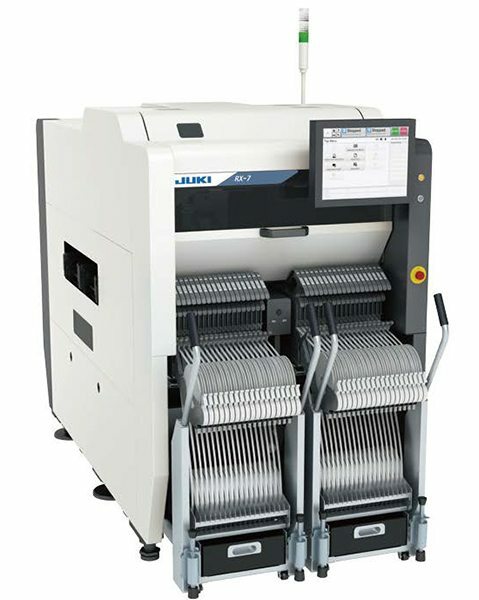 JUKI’s RX-7 is the perfect solution for companies looking to assemble printed circuit boards with a large variety of components. In particular: micro-components, therefore being able to equip large volumes. The compact design of the RX-7 with a machine width of 0.998 metres offers competetive productivity in a very small space – unsurpassed in the industry. JUKI’s RX-7 achieves a mounting speed of up to 75,000 CPH (optimum) thanks to its intelligent design with two ultra-fast parallel rotational heads that can each hold up to 16 vacuum nozzles.  The two built-in cameras – one per rotational head – create real-time images during the placement process: in the course of the feeder uptake as well as while the component is being placed. The RX-7 cameras regonise whether components are positioned and soldered correctly, thus preventing mounting errors and defective circuit boards in advance. Owing to the integrated touchscreen, JUKI’s RX-7 is equipped with an easy to operate user surface, which allows an intuitive machine operation. As a result even users without any extensive technical knowledge can easily created pick-and-place programs.